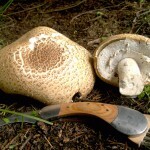 I get a lot of requests online for help identifying wild foods – especially fungi. I welcome these – it is a pleasure to help people improve their knowledge and gives me an opportunity to sharpen my identification skills. Win-win. But I feel a little guidance to people looking for help with ID would make the exchange more useful to both them and me. So here are a series of guidelines as to how best to frame enquiries. Its easiest to start with a genuine example of exactly how NOT to ask for help. This is an extreme example, but it is the easiest way to point out some of the difficulties. 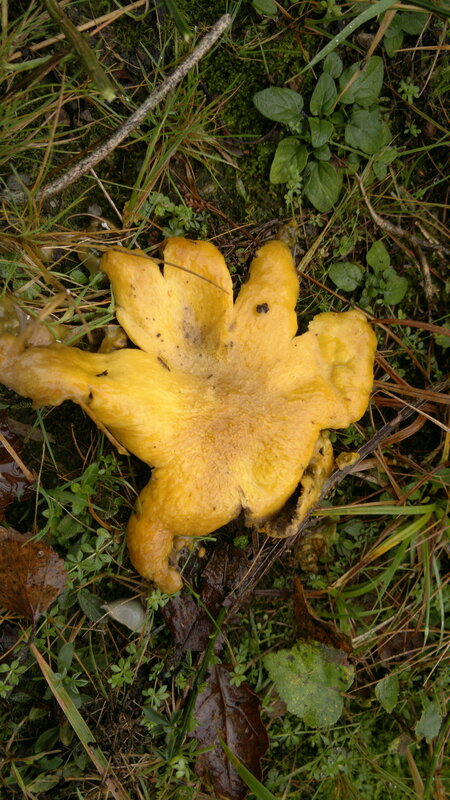 I will mostly refer here to the identification of fungi, but most of the lessons are transferable to plants. This example was sent as a Tweet, but I have received many similar on this website, facebook and by email. (I have changed the pictures for convenience). I’m hope you will see immediately a few ways in which this isn’t a great way of asking somebody you’ve never met for advice on a potentially life and death matter! Pls or thnx don’t take up that much space, even if you are restricted to 150 characters. Most people ask in a warm and polite manner – so if i’ve sent you here, please don’t assume its because I think you’ve been rude. 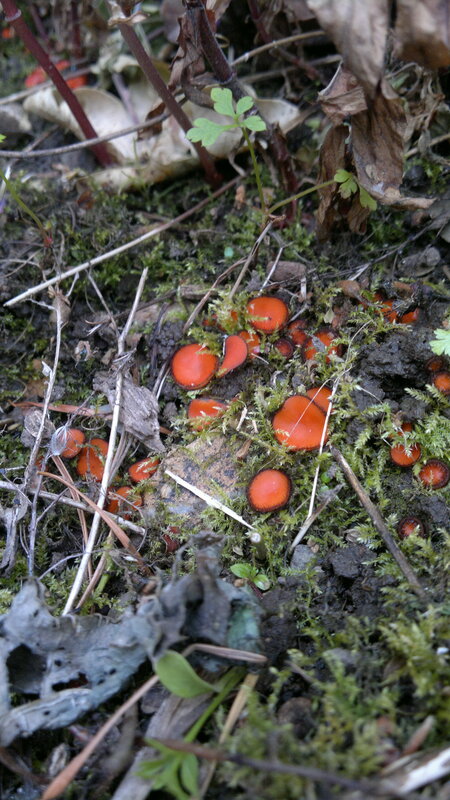 But quite a few people seem to expect a fungi identification robot! In this example enquirer doesn’t seem to be interested in what species the fungi are. I once had such an enquiry from somebody who referred to themselves as a “gourmet”! How undescerning can you get!? 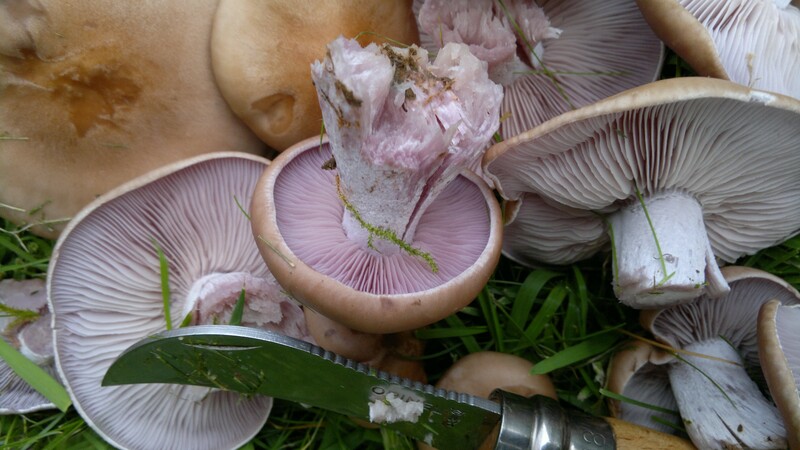 Again, my example may seem extreme, but at least a third of the ID enquiries I get ask only if the pictured plant/mushroom is edible – not what it actually is. Sand, grass and even McDonalds are technically edible. 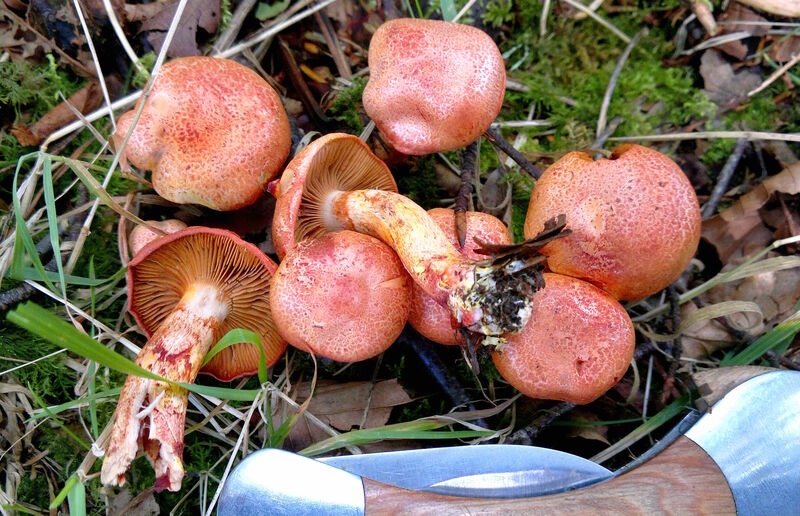 Wild plants and fungi can range from deadly to delicious, but the vast majority fall somewhere between. Check out my blog on The Spectrum of Edibility. The implication is that the enquirer has no interest whatsoever in the plant or mushroom if it is inedible. This is a really good way of alienating the person who has presumably taken a good deal of time and effort getting to know their subject. 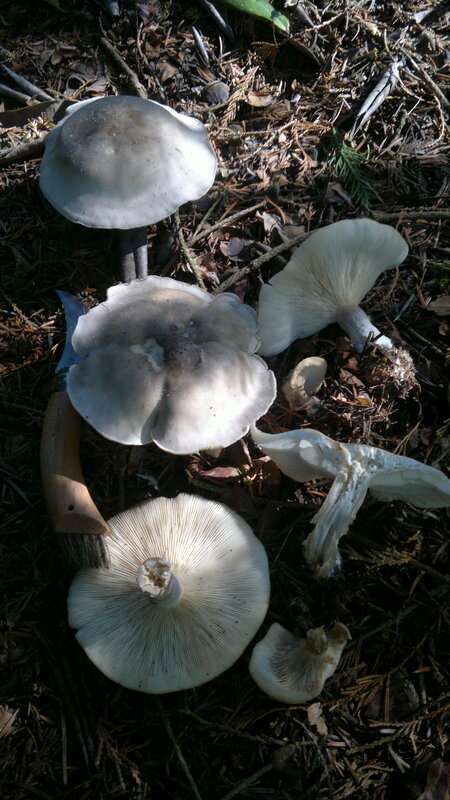 Worse still (this really annoys me), I regularly get sent pictures of large quantities of fungi that people have picked with no idea whatsoever what species it is. 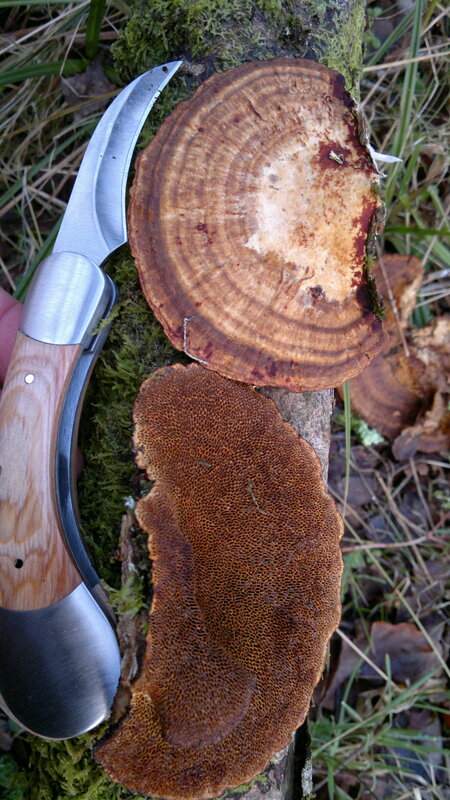 I don’t know what it is about fungi that make otherwise reasonable people disengage their brains! For all they know it could be incredibly rare, highly poisonous, or both. Even if the species turns out to be common or edible, it is still a rather thoughtless way of going about your business. More often than not, the mushrooms that have been thoughtlessly ripped from the ground turn out to be inedible. Presumably the errant picker then just chucks them in the bin, or compost if the mushrooms are lucky. Most importantly of all, it is, at best unfair, at worst complete foolishness, to ask a stranger whether you should eat something. There have been several cases of online misidentification by knowledgeable and well-meaning experts that have lead to acute poisoning and even death. 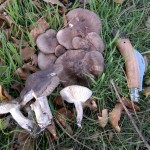 Many fungi forums have banned discussions on edibility. It is for the individual to decide whether to (a) agree with the identification and (b) proceed to eat the item. 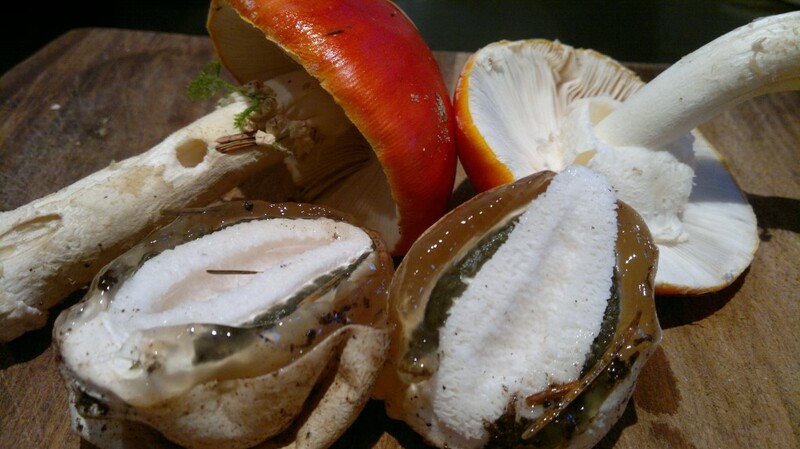 Even when identity is established and edibility ascertained, there are still a great many wild foods – fungi especially – that are generally edible, but cause an adverse reaction in some people. (This is true of almost any new food – not just wild foods!). You can only find out if a new food is for you by eating a small quantity of the specimen, well cooked and on its own, then waiting for a few hours. This puts a lot of people off and that’s fair enough. Personally I feel the possibility of an hour or two’s mild gastric discomfort is a small price to pay for a delicious new wild food on the menu! In my example, the enquirer may well have spent sleepless nights poring over identification guides, struggling with his or her limited experience before finally looking for outside help. But the message shows no evidence of that. It looks rather more like they have pointed their camera phone at a few things that have caught their eye then sent it for diagnosis without really going to any trouble. There are some pretty good website ID guides a click away for this that wish to try to find out what they have stumbled upon. This is why I ask that ID enquiries include a “best guess” – even by complete novices. Identification skills only improve by honing observation skills and investing some meaningful time. You wouldn’t expect a doctor to diagnose your illness by just letting them look at the top of your head. 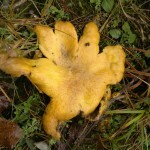 In the same way, it is very difficult – often impossible – to identify a plant or fungi with just a picture of its leaf or cap. On a foray with a professional mycologist, at least a third of the species we found could only be definitively identified with a microscope. 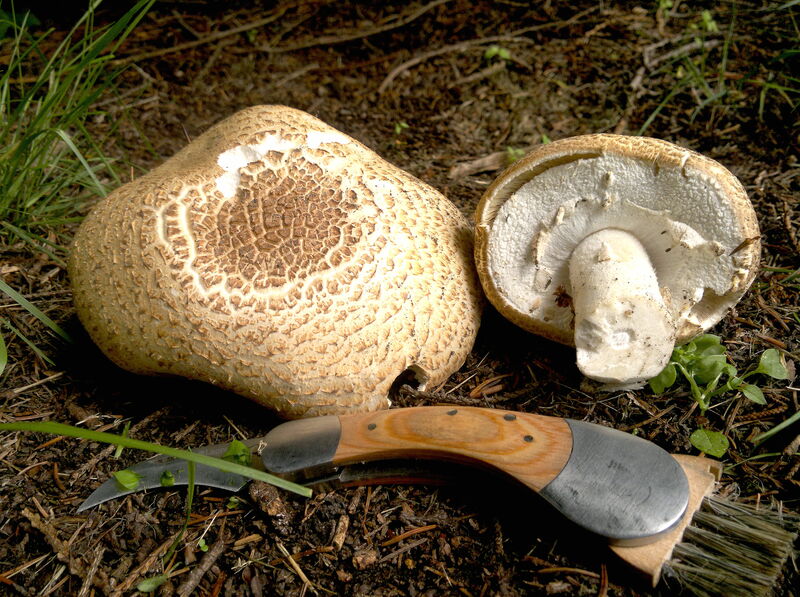 Even with a mushroom in hand or an excellent set of pictures it is often only possible to say which genus a mushroom may be part of. 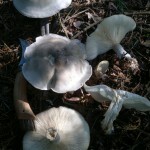 Cap from below – this may require picking a mushroom and placing it upside down beside growing specimens. Focus – please do your best to make sure the picture is reasonably well defined. The more information you can include, the better. The specific habitat in which the mystery species is growing can be an important clue to its identity. In the case of many mushrooms the host or partner organism (often a specific species of tree) is essential for accurate identification. Remember that a tree’s roots reach as far out from its trunk below ground as its branches do above ground. 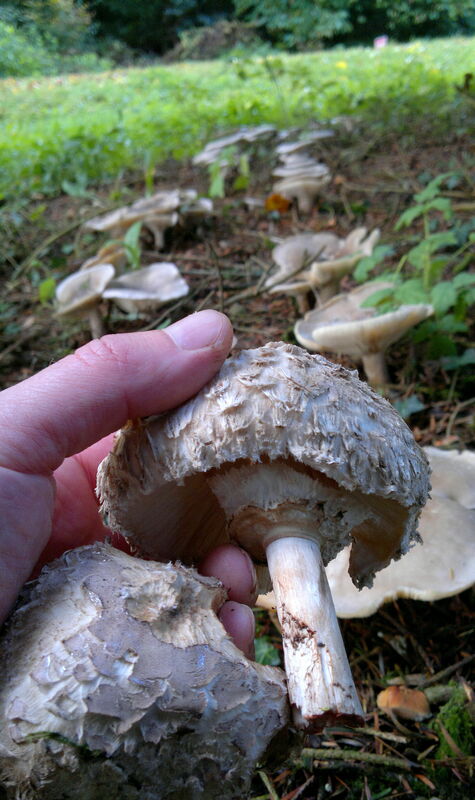 General habitat is also important – was the plant/mushroom growing coastally? On flooded ground? On bare soil? Geographic location can also help to eliminate certain species – eg. Scots Lovage doesn’t grow in S England, Alexanders don’t grow in Scotland etc. 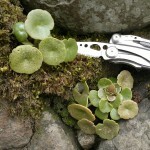 I hope this article does not dissuade anyone from asking anyone for help with plant or mushroom identification. I hope it does help people to frame their requests in a more useful way – for themselves and the person they are asking for help from. Hi, I found this growing on dead elm(?) tree SW Scotland. Could it be cinnamon bracket? Thanks. 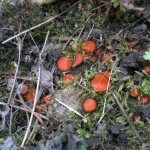 Please could you help: lots of these in damp beech woods near Keswick. Think they may be a type of webcap? HI, I’m stumped! 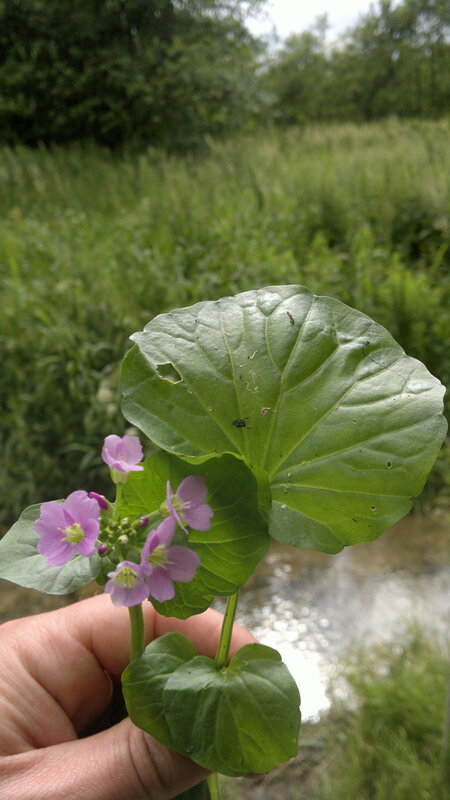 A wierd watercress? Flowering in marshy woods W scotland in June?? Ta. These turned out to be blushing bracket (probably! 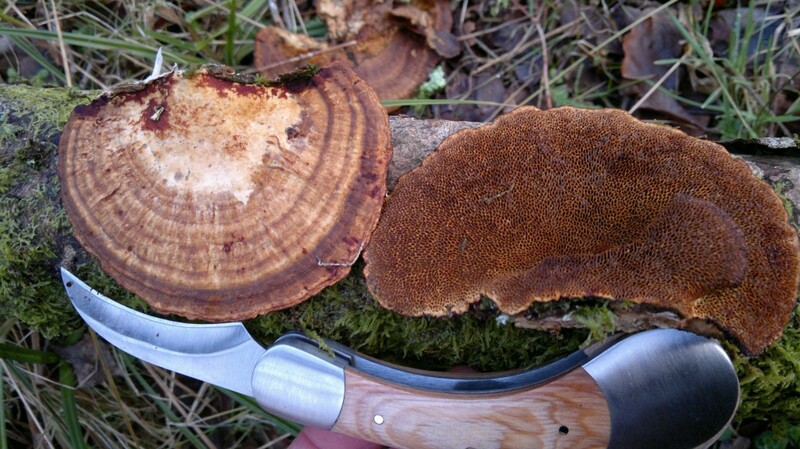 ), cortinarius bolaris (poisonous! ), and greater cuckoo flower (now one of my favourite salad greens!). All these were pictures I took myself and puzzled over before asking for help! 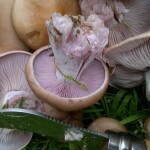 Mushrooms v Toadstools: What’s The Difference? “You wouldn’t expect a doctor to diagnose your illness by just letting them look at the top of your head.” HA HA HA!!! Thanks Fergus, please feel free to direct any “incomplete” ID requests you get here! And thanks for your inspirational website – love your work. You seem to have been a bit quiet on it for a while – hope all is OK? Just picked this up – replied to your email. 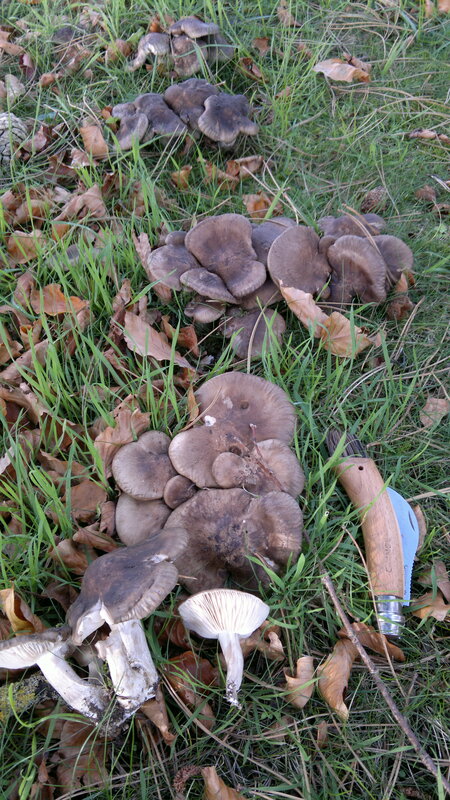 Hi,so pleased found this site..I live in Rochdale Lancashire where I play golf.Lots of fungi about,But i’ve no idea. Excelent pics & advice.After looking at this site I Thought I’d found;”horse M/rm” near Pines &Conifers wrong month! Field/flat M/rm still checking.Going to do the 2hr bad tummy test.!! Thanks Eddy. A whole wide world of discovery awaits…! I think you have found my events page, and private bookings page. Hi Mark – Great site, helpful tips and useful photos – thanks for all of these. Can you help on a tree question? 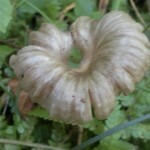 There is contradictory online advice about sycamore seeds. The trees are common, have abundant “keys” in the autumn and are easy to identify. 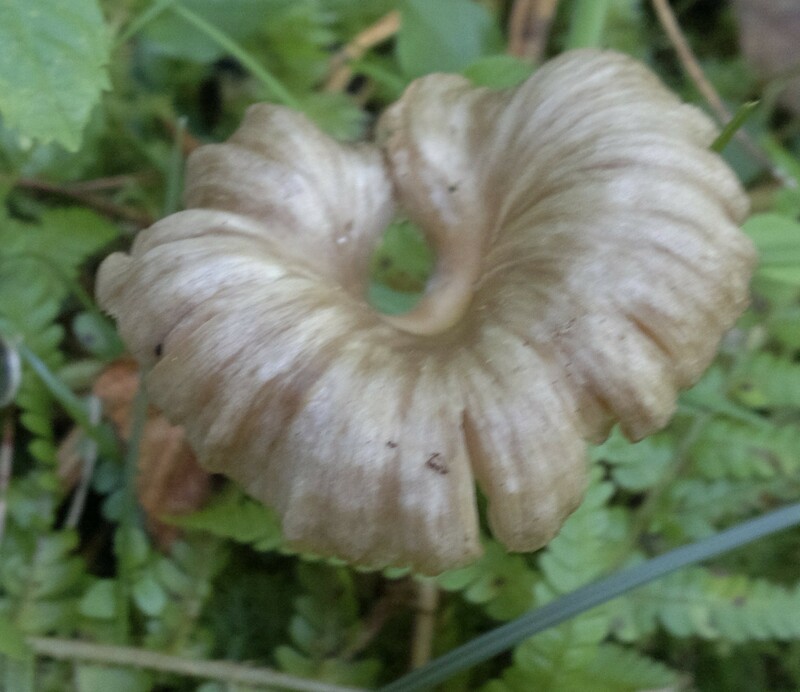 Some sites say the seeds are edible, while equine sites connect horses eating them to fatal heart disease (atypical myopathy). Other sites talk about tapping the sap, but ignore the keys. Any idea if the keys are safe or not? I haven’t eaten any on the precautionary principle! Thanks in anticipation. Sorry, I have no experience of eating sycamore keys and haven’t heard of anyone eating them. 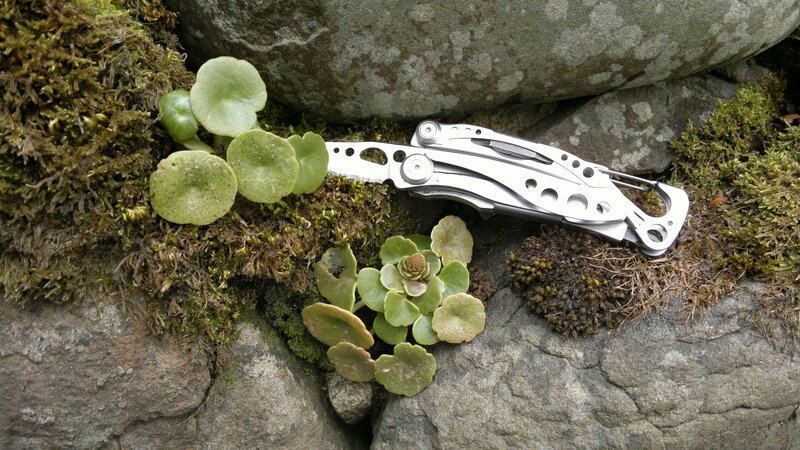 I am very fond of ash keys, which are similar but may have quite a different make-up. I hear mentions of tapping sycamores, but never anyone reporting it being in any way worthwhile. Just enjoyed listening to you on Radio 4’s Food Programme and followed up on the Internet. Will definitely be watching out for you in future as I enjoyed very much. With reference to the the “good ID help pictures” above, could you please elaborate as to what the greater cuckoo flower is? I don’t wish to be pedantic, and I am only a keen amateur myself but I haven’t hear of the “greater” cuckoo flower only the “cuckoo flower” Cardamine pratensis. I checked in a couple of my books and in particular Geoffrey Grigsons “The Englishman’s Flora” but could find nothing. It’s also possible that I’ve not heard of it because I live on the Isle of Man and perhaps we don’t have it here! Thanks in advance. Hi Grahame, Thanks for getting in touch – so glad you enjoyed the programme. I made up “Greater Cuckoo Flower” as I couldn’t find a common name for it and it is closely related! Hi Mark, I’ve only discovered your site this evening after a foraging trip in my local forest, Blairadam forest in East Fife, the forest is less than a minutes walk from my home. I still have my very first book given to me and child on Britain’s wildlife, plants, and flowers by Readers Digest which is still refer to too identify things but namely mushrooms since I am good at identifying other flora and fauna. I recently bought another book which is solely dedicated to mushrooms and toadstools amd, today on a walk I discovered what I’m 99% sure is Saffron ringless amanita. 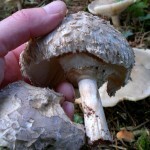 I collected one and have searched the ‘mushroom guid book’ and online which led me to your site. So glad I’ve found it and have signed up for your newsletter. The addition of recipes is a fantastic touch. Anyhoo, can you give me an email address so that I can ask you to confirm my identification please?